I have always had a passion for entertaining and cooking for family and friends. Ever since I could remember Sundays after church were spent at my Grandparents house for family dinners where my Grandma would cook great big meals and send us home with lots of leftovers! Every holiday had a tradition which included visits from Santa on Christmas Eve to Easter egg hunts in my Grandparents yard. I have so many great memories from all of the fun and joy that each holiday brought. 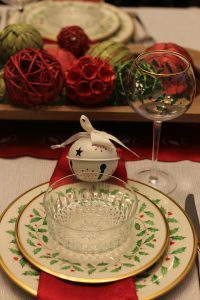 My Mom always hosted Christmas dinner and she would always make sure to have a memorable favor at each place setting and yummy dishes that left everyone asking for the recipes. She also made a huge display of cookies that are still talked about by family and friends! When I was in college my Mom was fighting cancer and after she passed away I was determined to keep all of the traditions I cherished a part of our family and continue to create new memories with every holiday and party I threw. That is were my passion came from, keeping her memory alive and continuing to bring lasting memories for our family and friends. 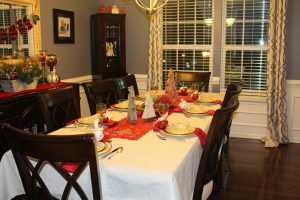 I want to share with you a family dinner we had this past weekend. All of the dishes for this meal have special meaning to me. Growing up my Mom always had snowman plates that she served with Christmas dinner. So several years ago my sister started me with my own collection of Christmas dishes and every year she surprises me with another piece to match the set. Last year was wine glasses, she definitely knows I love my wine! 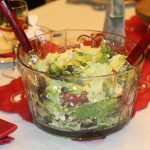 The crystal salad bowls I love to use for all of my family dinners were my Grandma’s. I love incorporating my Mom and Grandma into every meal so they can be with us! I also add a favor for each guest to their plate to take home. In the past I have individually wrapped frosted holiday sugar cookies to homemade caramel apples. 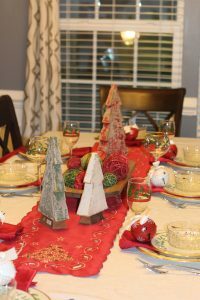 For this dinner everyone went home with a Christmas bell ornament to add to their tree. For every gathering I like to have a signature drink and a few apps! 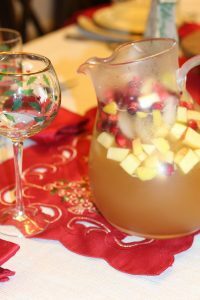 For this dinner we had Apple Cider Sangria which was so easy to make and so refreshing! I added apples and cranberries to make it festive! The appetizer we had was so simple. All I did was buy a baguette and Jarlsberg Cheese Spread that was pre-made and I baked them in the oven and served! 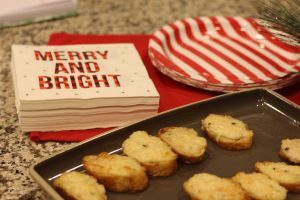 I always like to have festive plates and napkins! For dinner we served a strawberry salad with poppy seed dressing which is a family favorite! 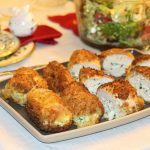 We also had chicken stuffed with ricotta and spinach. It looks intimidating but seriously so easy! 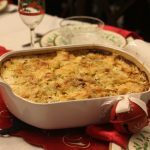 We served the chicken with homemade cheesy scalloped potatoes! 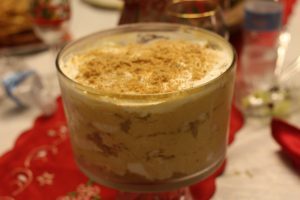 Finally, for dessert I made a pumpkin cheesecake trifle, which again was quick and easy to make! 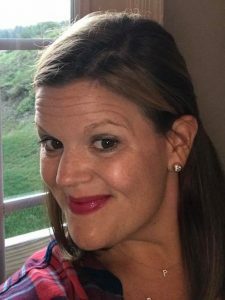 Thanks for joining me and checking out my first post! I can’t wait to share with you so much more from entertaining, home decorating, fashion, kids, beauty, and more! Lauren you never cease to amaze me! Beautiful all around and you know I will be following.